What is best in life? To crush your enemies, see them driven before you and to enjoy totally kickass crossovers. 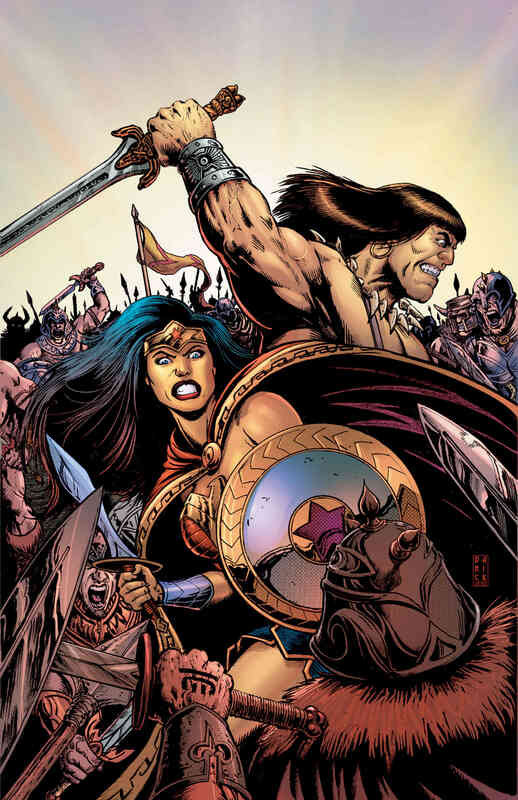 Thanks to DC and Dark Horse coming together and tearing red tape to shreds, some of the most adored warriors in all of comics will unite this fall in Wonder Woman/Conan, which, if you were to ask me, sounds like one of the most natural dream pairings we could ever wish to make. And with the Amazon Princess currently dominating the box office, in addition to the anticipation that comes along with writer Shea Fontana taking the creative reins on her flagship series, this joint venture couldn’t have come at a more opportune time. Now, the two publishers could’ve simply put anyone on this six-issue miniseries and raked in the dough. 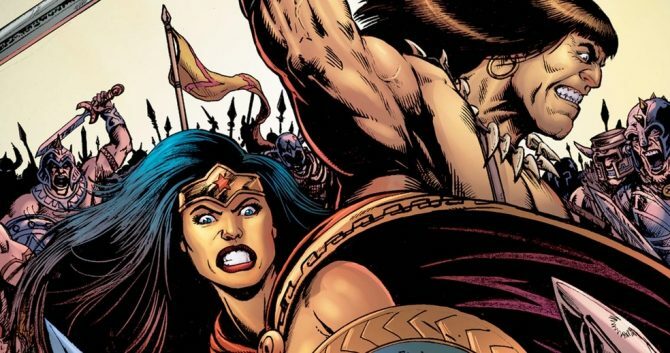 But, fortunately for us all, they’ve enlisted one of the industry’s greatest writers in the form of Gail Simone, whom we all know to be no stranger to Wonder Woman and says, “being able to bring the undisputed greatest warriors of the DCU and Robert E. Howard’s Hyborian Age together for the very first time is a dream come true.” Joining her on art is Aaron Lopresti, fresh off Death of Hawkman. On a side note, one can’t ignore the fact that the last man to portray Conan on the big screen was that of Jason Momoa, who’ll be starring opposite Gal Gadot later this year in Justice League as Aquaman. That said, we wish you all the luck with trying to voice cast the characters while you read the book.